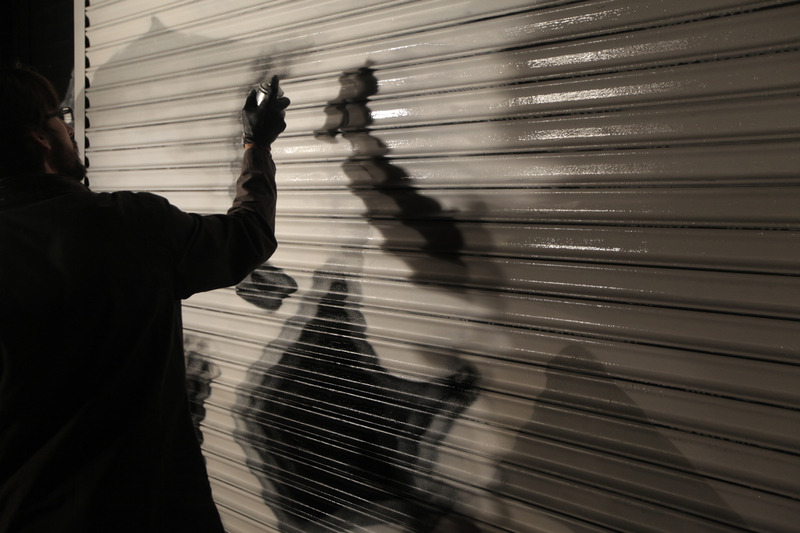 During the Graffuturism LA exhibition at Soze Gallery El Mac started this new mural with Kofie. 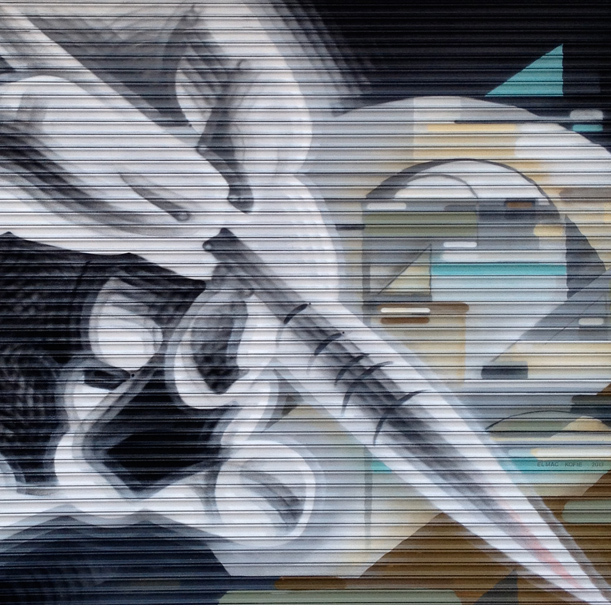 Todd Mazer was able to get some process shots of El Mac painting the mural and Kofie just posted the finished Mural on his Blog. 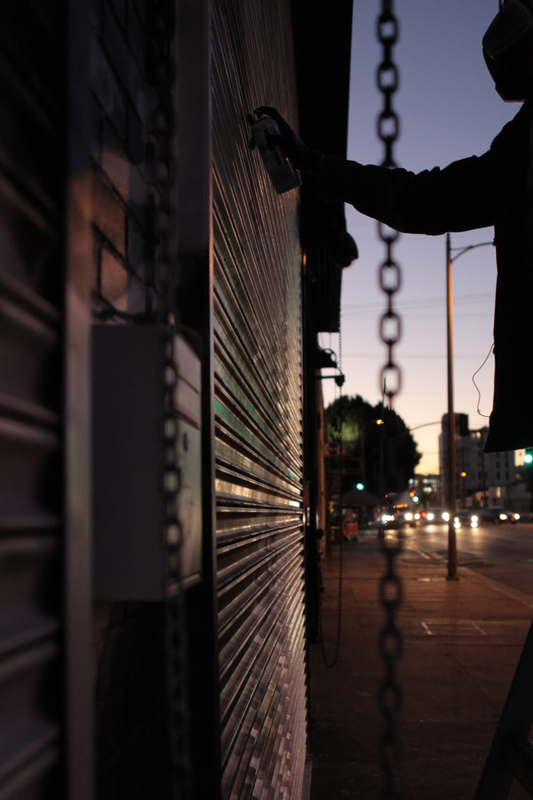 The collaboration was painted on the shutter doors of the New Time to Shine and Soze Gallery in Los Angeles. Another impressive collaboration from the duo who have worked together numerous times complementing each others style. This mural is another chapter in their continued body of work together. Great pictures, and an amazing Wall.